• Selection. It is clear from the above that attempts to treat anger may not be appropriate and efforts to evaluate outcome will be limited, unless valid methods are used to establish the presence of a clinically significant anger dyscontrol problem. Further, it must be acknowledged in the provision of anger interventions that no two individuals are likely to be equivalent in respect of their anger problems. At present, however, one might assume the opposite, given that most intervention programmes following rigid collective goals and activities. Equally, the manner in which intervention is often rigidly structured assumes that all anger problems are optimally resolvable in equivalent fashion. Clinical experience tells a different story. This is why we have previously advocated a formulation-based approach to selection for (either individual or group) intervention and determining the appropriate balance of therapeutic elements required to achieve progress. Furthermore, it permits due consideration (where relevant) of wider process considerations such as the effects different participants may have on each other in group settings. In our view, this is the assessment gold standard and it is chastening to realise how many programmes have either cursory or no assessment process at all. • Intervention. What is clear from the preceding review is that insufficient attention is often paid to the detailed elements of therapy and appropriate contrast and comparison with other approaches. Hence, it is very difficult to confidently compare two different programmes even when they may both be classed as CBT. In this regard we consider, for example, that the distinction proposed (Novaco, Ramm & Black, 2001) between anger management and anger treatment offers a clear delineation of very different intervention styles and should be generally adopted. Furthermore there should be much clearer exposition of what the key elements in the therapy programme actually entail, as this can often lead to misunderstanding and confusion. This can be graphically highlighted by the manner in which stress inoculation can be used very specifically to describe specific clinical activities, as opposed to being used as a blanket description of the global process of intervention. Additionally, thus far, there has been little examination of the influence of 'preparatory work' or the effects of 'follow-up' sessions with regard to outcome. Indeed, it seems practitioners have made little comment on the inherent differences between providing group versus individual interventions and there is clearly a need to gain greater clarity as to the relative costs and benefits of each modality, and when indicated. Ramm & Novaco (2003) describe an intermediate approach that may capitalise on the benefits of both within a single intervention. Once again, much remains to be accomplished. • Outcome. 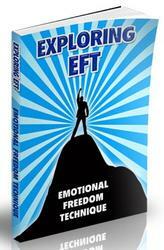 Appropriate evaluation of intervention effects is crucial in any therapeutic activity and anger is no different. It is commonly most straightforward to rely on patient self-report (for example, Hacker-Hughes & Renwick, 2004) but this is often compromised by the medico-legal context in which the angry client is operating (Howells & Day, 2003). Practitioners (especially in the forensic domain) are therefore required to give thought to concurrent multi-modal measures that may supplement self reports. 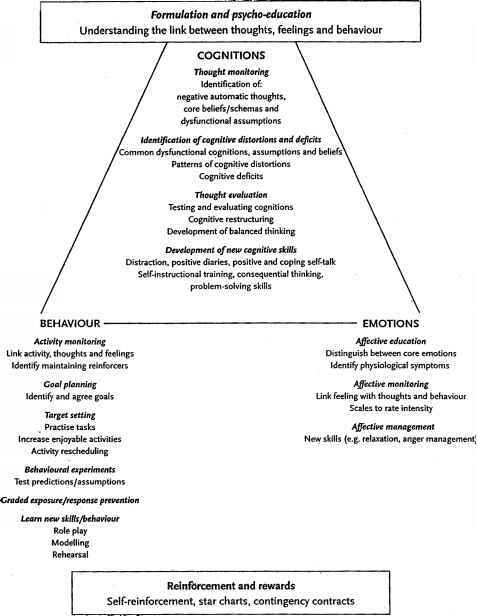 Our own efforts in this domain have involved the development of instruments such as the Ward Anger Rating Scale (WARS) (Novaco & Renwick, 2002) and the Managing Anger and Resolving Conflict Scale (MARCS) (Ramm & Novaco, 2003) for staff-rated anger assessment but other mechanisms for critical behaviour sampling desperately require to be developed and routinely used. • Motivation and engagement. Arguably more than any other clinical problem, people with serious anger difficulties are often highly ambivalent or indeed hostile to participation in therapy. This is particularly so in the forensic domain (Howells & Day, 2003) but it is also the case in more general outpatient settings (Siddle, Jones & Awenat, 2003). This does not only arise when clients feel justified in respect of their problems. Even when acknowledging and remorseful, such clients can find therapeutic work threatening and undermining (Novaco, 1996,2000). The usefulness of strategies for addressing such challenges like 'motivational interviewing' are now acknowledged (McMurran, 2002) but it is to be cautioned that motivational processes are multifaceted and both intrinsic and extrinsic to the individual (Hodge & Renwick, 2002). Again, much requires to be understood about these critical factors. It is clear from the above that much work still requires to be done in order to aid our clinical understanding of anger and direct our clinical activities. Developments in respect of these matters, we believe, may well involve the integration of current CBT and psychodynamic approaches. One such approach that offers much promise is cognitive analytic therapy (CAT) (Pollock, Gopffert & Stowell-Smith, 2006; Ryle & Kerr, 2002) although as yet there is little substantive evidence regarding the utility of this approach. In parallel, moves to conceptualise the contribution of constructs such as shame, guilt, acceptance and forgiveness may well drive the development of therapy content. What is very clear is that, to date, work concerning these matters has followed a very intrapsychic approach, with insufficient consideration of the powerful social and contextual forces around which individuals' difficulties are played out (Hodge & Renwick, 2002; Novaco, 1993; Ramm, 1998; Robbins & Novaco, 1999). It is to be hoped that future developments will see progress in our understanding of these key issues.